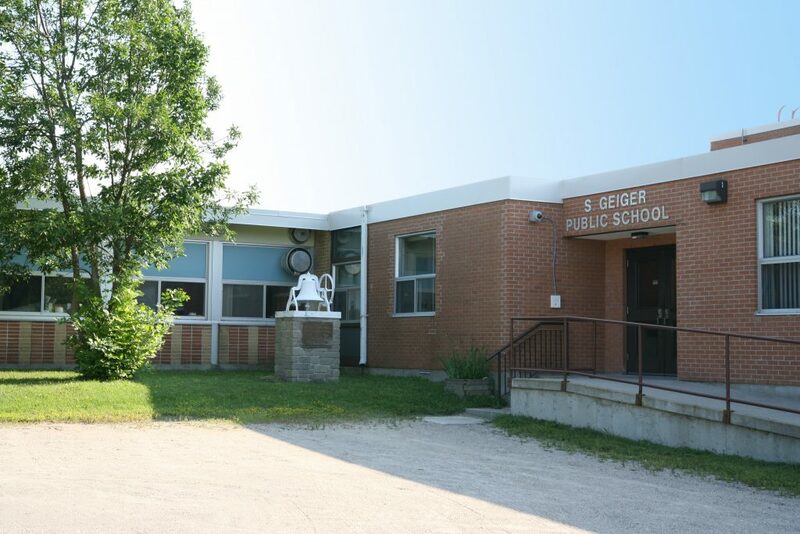 S. Geiger Public School is a small school with a whole lot of heart. We are located in the town of Massey, where the Spanish and Sables Rivers meet. Our students of course come from Massey itself (population 1,100) but we also bus students in from the rural areas of the Township of Sables-Spanish River, a total combined population of 2,943. We are the most westerly school in the Rainbow District School Board, with students from as far west as the Walford area. Massey is becoming well known for its Friendly Marathon, held annually each July and recognized as a qualifier for the Boston Marathon. We are also renowned for the Massey Agricultural Fair, and definitely Something to Crow About each August. The history of the area is readily apparent for all to see as they visit our own Massey Area Museum. Our school itself is steeped in history, and is proudly named after Mr. Sidney Geiger, a School Inspector back in the days when these professionals made their rounds of the one-room school houses and then the larger, combined schools in their jurisdiction, ensuring that children were getting a proper education. We carry not only his name but also his dedication to quality education where children come first. Our students come from industrious, hard working families, the majority of whom value education and heartily support the efforts of the school. There is a strong agricultural presence in the area and many families continue to farm – dairy farming, beef cattle, strawberries, etc. We also have a strong First Nation presence both within the community and in our school. The Sagamok Anishnawbek First Nation Reserve, located a short distance from S. Geiger P.S., has its own JK to 8 school called Biidaban but many students who attend Geiger also share Ojibwe ancestry and culture. We are very excited to offer Ojibwe classes to our students as elective and core courses. This new program was added in February of 2009. A growing presence of Mennonite families is being experienced, with many farms being purchased and farmed by this group. Horses and buggies, traditional black garments, and women and girls in long dresses and bonnets stand out as a reminder of what the community might have looked like in days gone by. 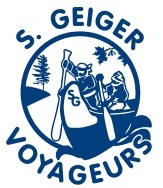 At S. Geiger, we proudly promote athletics, academics, and the arts. We have a large, well-stocked library and a computer lab with enough computers to allow our students to work independently on projects from word-processing, Internet research and web design. All of our classrooms are equipped with SMART Board technology and document cameras. Students also have access to 20 iPads that are used in our classrooms to enhance learning. We have a dedicated teaching staff and an incredibly supportive parent group. Many of our parents give freely of their time to volunteer in classrooms and/or assist in the varied activities that abound at S. Geiger. The whole school joins together to prepare and enjoy a sit-down luncheon for Thanksgiving – turkey and all the trimmings! Our teachers in all grades continue to implement best practices, striving to improve performance and assist students in learning to their full potential. We are delighted to share our building with some of the youngest residents of the community as they attend the One Tot Stop Day Care. It has been a part of our school for the last 19 years and we continue to enjoy their presence as we share the facility and collaborate whenever the opportunity presents itself. Our School Council is well represented with six members acclaimed to council, who commit to monthly meetings to support our school and students. Given our geographic distance from Espanola and Sudbury, we are somewhat isolated. However, thanks to the exceptional fundraising efforts of our School Council and the wholehearted support of the community, our students are able to attend cultural and athletic activities that enrich their learning experiences. As well, the Council, through the efforts of fundraising, has added SMART boards, document cameras and iPads to our classrooms. This has enhanced the learning environment for our students. Dedicated parents and community members are making a difference at S. Geiger Public School. A special thank you is extended to Better Beginnings, Better Futures, Massey Community Improvement Committee, Espanola Lions Club and Massey Players theatre group for their financial contribution. These financial donations enable us to maintain our technology, purchase outdoor equipment, provide opportunities for school trips and support our breakfast program. The arts continue to figure prominently in the daily life at S. Geiger, from music to dance to drama and the fine arts. We were especially proud of our students for their outstanding effort and performances during the Spring Variety Musical “The Showdown at the Hoedown” April 2013, which involved students from all grades. The show was a phenomenal success and people in the community are still raving about the event. The silent auction during the intermission provided our audience with a chance to mingle after enjoying spectacular desserts served up so nicely by parent and student volunteers. We opened our doors to the community as the Joy Club used our gym on Tuesday nights and Friday nights were booked by the Youth Group. These clubs provide activities for the youth in our community. Our mission at S. Geiger is to create a positive learner centered community that fosters academic excellence, creativity, character development and life-long learning for all. Through work and play, all students will meet their potential and become happy, healthy, self-sufficient members of society. We embrace all learning opportunities, taking pride in the steps of the journey. Looking for child care S. Geiger Public School?